In 1777 George Washington ordered the creation of Springfield Armory to store revolutionary ammunition and gun carriages. In 1794, The Armory began the manufacture of muskets for a young country. For the next 150 years, Springfield Armory functioned as a supplier for every major American conflict as well as a “think tank” for new firearm concepts. In 1968, citing budgetary concerns, the U.S. Government closed Springfield Armory. Now the walls of Springfield Armory would house historians, paying homage to the past rather than those with an eye to the future. In 1974, a passionate family by the name of Reese rescued not only the name “Springfield Armory,” but the philosophy that drove it for centuries. With reverence for the legacy of The Armory, the Reese family resurrected the most historically significant designs produced by The Armory- M1 Garand, 1911-A1, M14. Fueled by the same obsession for improved manufacturing techniques and cutting edge design that inspired the likes of John C. Garand, and John Browning, they have continued to develop products that are loyal to Springfield Armory’s heritage while ensuring The Armory’s place in the progression of American firearms. In 2001, as Springfield Armory® entered a new millennium, the introduction of the XD® pistol changed the world of handguns forever. 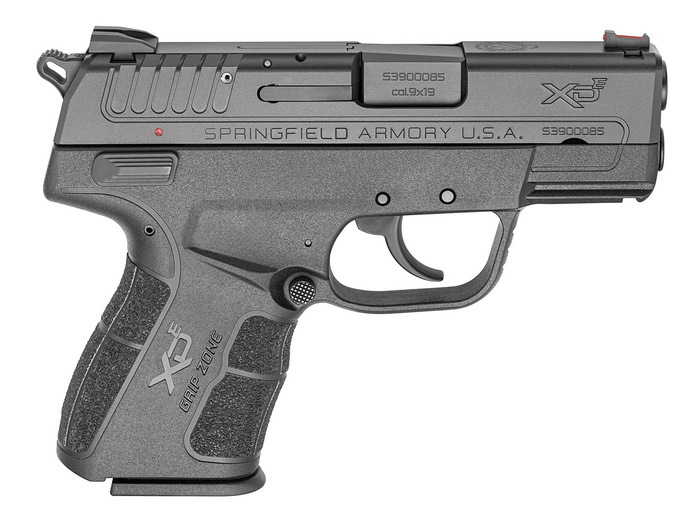 The XD® followed in the footsteps of so many legendary Armory designs before it, quickly gaining a reputation as a quality, reliable firearm that is easy to use. In 2005, The Armory reminded the world that American innovation is alive and well. The SOCOM 16 was a reimagining of the legendary M1A™ that brought an unparalleled combination of power and maneuverability to the close-quarters battle rifle market. In 2014 the Armory unveiled the next step in the evolution of XD® series with the XD® Mod.2® Sub-Compact. This re-contoured and slimmed-down frame features the GripZone®, a set of three unique textures designed to transform the shooting experience. Available in 9mm and .40-caliber, the Mod.2® refines the classic Point-and-Shoot characteristics for a difference you can feel.